Neil’s Spiel: Government unfit to judge whether banks are fit? Democratic Strategist Bernard Whitman, Cove Strategies co-founder Mercedes Schlapp and FBN’s Neil Cavuto on the Federal Reserve’s bank stress tests. Think another financial meltdown can&apos;t happen? Then you better make darn sure the banks have plenty of money set aside... just in case. That&apos;s the theory behind these so-called stress tests that the government&apos;s been giving banks. 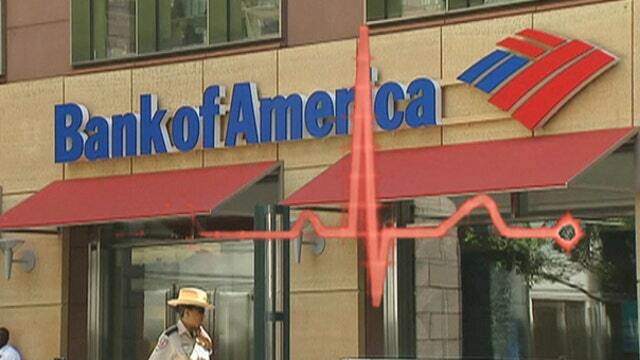 What they do is mimic meltdown-like events and see if banks can withstand the pressure. They test whether banks have enough cash on hand or emergency contingency plans in place to weather either a huge market selloff, or a sudden rush of customer loan defaults... or both. All good. Here&apos;s what&apos;s bad. Not the banks, the ones taking the test... most of whom performed well, I&apos;m told. But the government bureaucrats, the folks "giving" the test, most of whom couldn&apos;t find their way out of a financial paper bag. The ones with "no" cash on hand, judging whether banks have "enough" cash on hand? The ones totally spent, judging whether banks are spent? The ones who wouldn&apos;t even know accountability, checking the accounting of folks who kinda do? Kinda stop. This is ridiculous. It would be like me judging a fitness contest... don&apos;t go there. Or Bill Clinton pitching a marriage counseling service. Or Vladimir Putin doing "come to Red Square" tourism ads. Or Bruce Jenner doing spots for Men&apos;s Warehouse. Or his Kardashian extended family doing promos for a Christian dating service. Ummm... No. No. No. No. I&apos;m all for testing. I&apos;m all for preparing. But I want a guy who&apos;s really fit to be my trainer. And I want someone who&apos;s really financially fit to be our banks&apos; trainer. It&apos;s kind of like the late John Belushi, the animal in the house...Just not the animal you want fixing the house.